Among the very deadly diseases and one that especially occurs in the old age is Alzheimer’s. It has become quite common now where people have severe memory loss. Along with forgetfulness there are a lot of people who undergoes major confusions in the day to day living. However, before you know about the possible treatments and therapies that it requires, it us very important to detect it at an early stage and cause minimum damage. 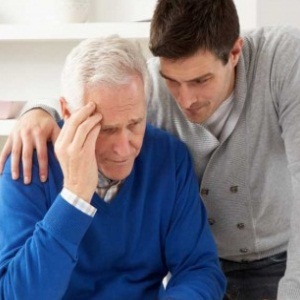 The list below gives some top notch symptoms that are associated with Alzheimer’s. You can check them out to connect it to the problems that you might be facing and confirm whether it is Alzheimer’s or not. One of the major signs that are completely associated with Alzheimer’s disease is that of severe memory lapses. This can either be in the form of a situation where the person asks the same question again and again without realizing that they have done it before or even a condition where they completely forget the conversations and appointments. There are people who might even misplace their possessions and keep them away at places where it is impossible to find them and in severe situations start forgetting the names of the close ones and even their own. Decision making power and c as one of the signs of Alzheimer’s. A patient usually takes irresponsible and silly decisions. A very good example is when the person does not know what to dress in and in accordance with the weather. Handling the finances is also a common problem here. Money related issues start cropping up for the patient where they start lending money to any random people. There are major looses in a person’s communication skills and language when it comes to Alzheimer’s disease. There are issues with the vocabulary and a lot of times they stop mid conversation with someone and don’t know how to continue. With increasing stages, people usually start using gestures and not words to express what they want to say. This is one of the common signs of this disease. They might even speak less or else suddenly start using their native language to communicate. A person who is in the early stages of Alzheimer’s can have severe mood swings and also face agitation as a symptom. Patients might get upset or anxious very fast and sometimes be fixated on small details here and there. Overwhelm, fear, fatigue and confusion are some of the other aspects of moods that is common with a person who might be at the border of getting Alzheimer’s. Simple tasks that were so easy to carry on each day to have a smooth living now become really difficult to handle and successfully finish. This is solely because of Alzheimer’s and is one of the signs that you might be able to connect to. Not only most of the people find trouble in finishing the task but there are many who take longer time than usual to finish it off.